Whether it was intentional or not, Google has all-but confirmed that Google Assistant will be coming to Chrome OS in the near future. In the latest update for Google Home for Android, the Chat with Google Assistant section of the app (in the Explore portion of the app) clearly indicates Chromebooks as an option for Assistant. You can see a screenshot of it after the break. Seeing this is not entirely unexpected. Google has been rumored to be bringing their AI driving Assistant to Chrome OS and with the Pixel event later this week, where the Pixel Book is expected to be announced as a premium Chromebook offering. Other teardowns of Chrome OS and the Google Home app have also pointed to code that suggests Google Assistant is going to coming to Chrome OS. In other words, there is a 99% chance this is accurate. Assistant remains the top phone personal assistant service both in the number of questions answered and the accuracy of those answers. Microsoft’s Cortana is a close second but they are both miles ahead of Apple’s Sir and Amazon’s Alexa. 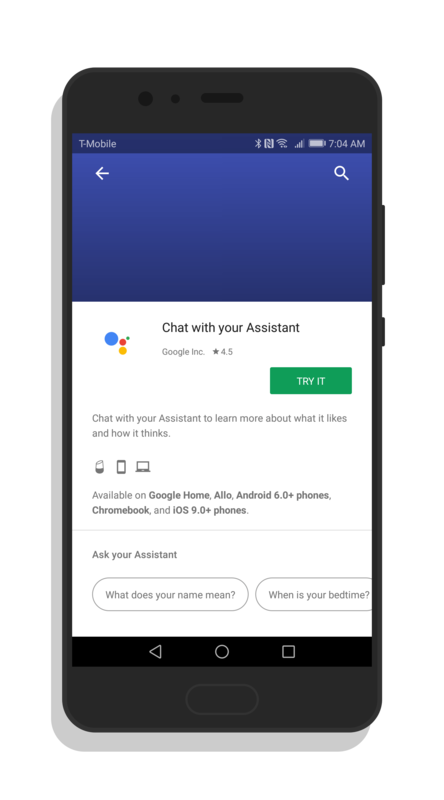 Expanding the footprint of Assistant just makes sense as Google continues to make interactions with devices and services easier. Ultimately the question facing Google is will people talk to their computers? If Microsoft’s track record with Cortana is an indication, the answer is no. But equally, Google Assistant is becoming more ubiquitous faster than Cortana and it could be the one that tips the scales.